Estate Planning is a comprehensive process that should be completed with care and by a professional. Have you thought about a do-it-yourself job using documents you found on the internet? Think again! Most of these documents, even if purchased for a fee, do not meet the minimum requirements to be legal in the State of Florida. We help our clients work through all the complex issues involved in estate planning, many of which have nothing to do with end of life. We discuss sensitive issues about disability, illness, guardianship, Medicaid planning, and other aspects of “live” estate planning, as well as compassionately provide our clients with all the information needed to make sound planning decisions for after death. After we have thoroughly discussed all questions, issues, concerns, goals and planning needs, we establish a plan for the client, and provide a firm fee quote. No two plans are alike, so there is no set price for estate planning, but our very reasonable fees include follow-up, additional assistance and hand-holding so that your plan is actually complete, and functions as expected. Following your document signing, we follow up and maintain our relationship with you over the years, so that your plan continues to function as needed, through life’s ever-changing terrain. Don’t be tempted to “do-it-yourself”. You don’t know what you don’t know, and what you don’t know can hurt you in this very vital area. 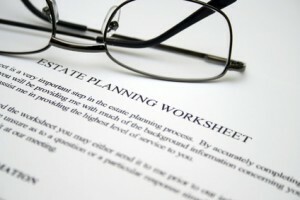 The first step in our process is to request an estate planning worksheet, and then to schedule a complimentary consultation today to discuss your estate planning questions, needs and concerns, and allow us to serve you to formulate and implement a plan for your legal future to protect yourself AND your family! Simply fill out the form on this page to contact us and start your process.